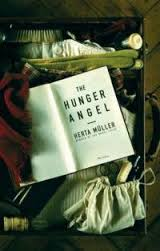 In an afterword to The Hunger Angel, Herta Muller reveals its origins in fact: in the aftermath of the Second World War Stalin insisted that Germans between the ages of seventeen and forty-five living in Romania (which had allied itself with Germany) be deported to the Soviet Union to ‘rebuild’. Muller’s mother spent five years in a labour camp, but for this novel she draws mainly on the memories of poet Oskar Pastior with whom she originally planned to write a book on the subject. When he died she eventually pursued the idea alone, using the notes they had made together over many conversations to recreate the experience of the forced labour camps where hunger dominated. Muller has had a patchy history of translation, with only a couple of books appearing in the 1980s and 90s, but a Nobel Prize in 2009 has led to her work being made available more regularly in English, in this case by Philip Boehm who includes an interesting note of his own about the nuances of translating her language. You’re still not light enough for me. Why don’t you just let go. The idea of the angel suggests not only omnipresence and death but a certain beauty and attraction. The novel is told is a series of short chapters (some are only a page). These create a picture of life in the camp and some of the prisoners, but there is little sense of progression over the period of incarceration. Muller describes the journey to the camp and the release, but in between time exists in a different form; the moment the narrative turns to the camp it is almost as if Leo has always been there. The Hunger Angel is not an enjoyable book. Then focus on survival is relentless. The characters are limited by the very circumstances they find themselves in. There are moments when you feel as a reader you may never leave the camp, but there are also times when you find yourself absorbing the detail with the same desperation as those who needed that knowledge to survive. You are currently browsing the archives for the Herta Muller category.